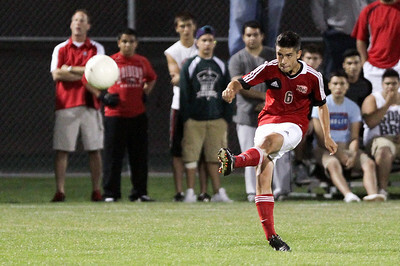 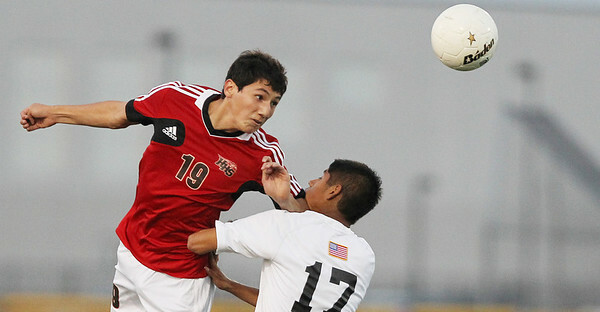 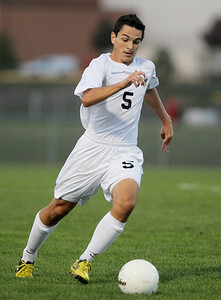 Huntley's Christian Ramos hits an indirect free kick during a match against Jacobs Tuesday, September 25, 2012 at Jacobs High School in Algonquin. 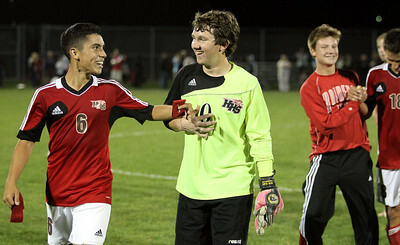 Ramos scored a goal on the kick after Jacobs' goalkeeper touched the ball. 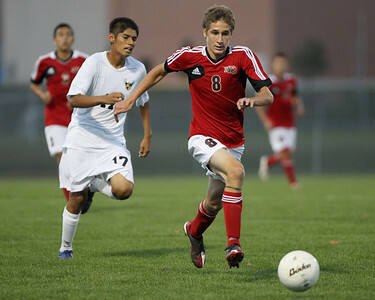 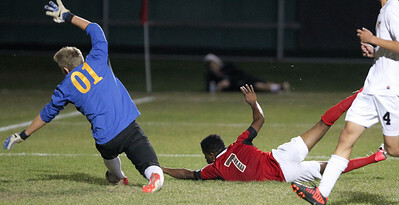 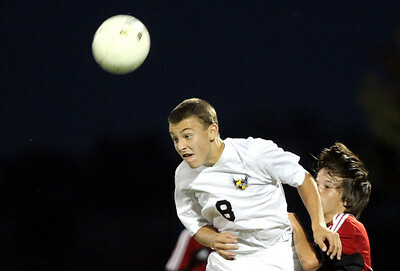 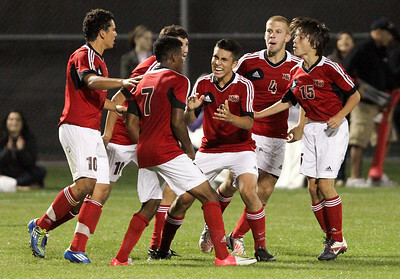 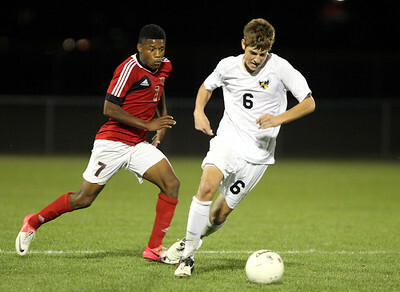 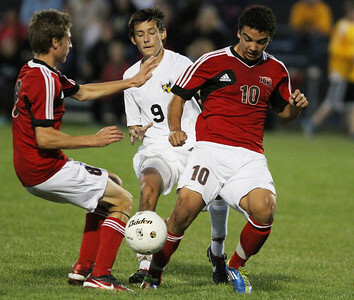 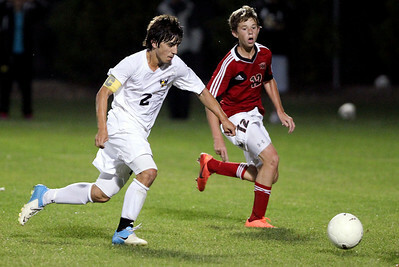 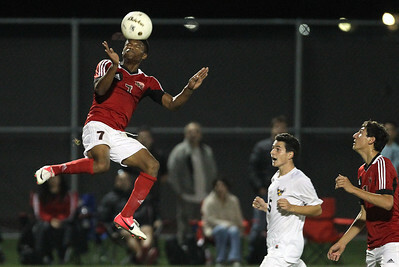 Huntley came back from a 2-0 second-half deficit to defeat Jacobs 3-2.